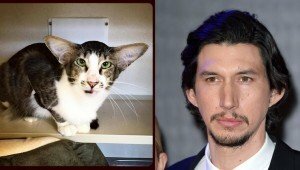 A cat who resembles Adam Driver, who played Kylo Ren in 'Star Wars: The Force Awakens,' has been adopted to a forever home. 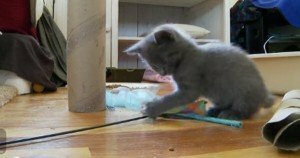 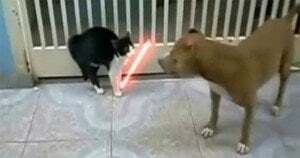 For all Star Wars fans: A kitten practices using his lightning Force powers on some play toys. 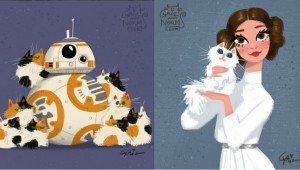 Animation artists at Walt Disney Animation Studio posted some drawings of BB-8, Princess Leia, and more with their cats on Instagram. 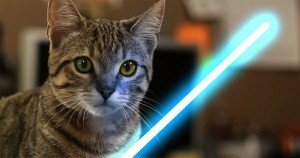 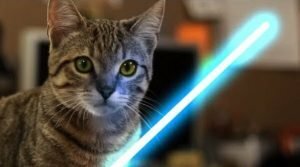 Video: Watch as various cats and kittens endure the harsh, training and sacrifice to become a custodian for peace and harmony in the galaxy — Jedi Knights.